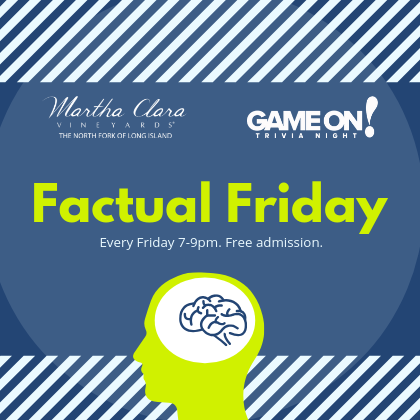 Join us every Friday for a a super fun game night co-hosted by GameOn!, wine specials included. Admission is free so spread the word. See you there!